Ramadan is leaving us very soon. It really saddens me thinking how quickly this amazing month passes! Subhanallah! Worshiping Allah Subhanahu wa ta'ala becomes easy during this month, as Satan our staunch enemy is imprisoned and our enemy within, the negative bits of our nafs, feel weak due to lack of food and drink. I can feel the sadness more during the last day of Ramadan. There is no guarantee that I will be able to witness this great month again in my life. May Allah subhanahu wa ta'ala forgive my shortcomings and accept my humble deeds, ameen! Ramadan reminds us that this life is really short and very soon we will face the day of Judgement. 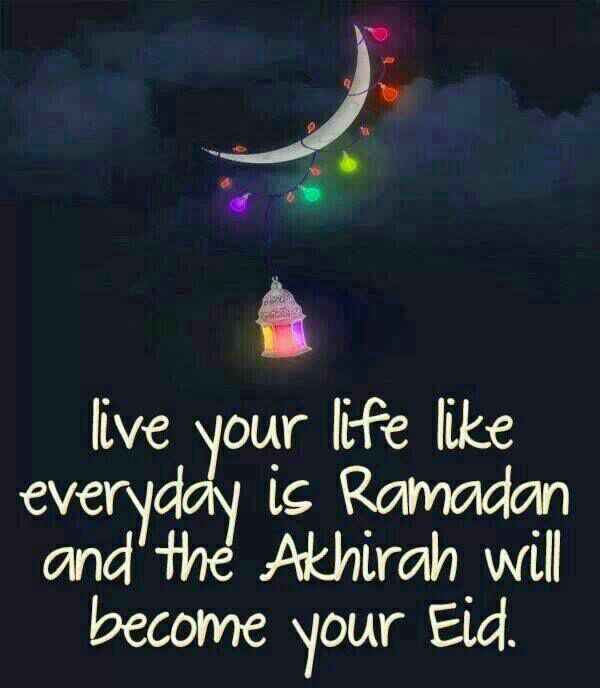 Let us leave this Ramadan with a strong determination to do our best to worship Allah subhanahu wa ta'ala on a regular basis through out the year. If we have done so much in Ramadan, how can we not be able to do little bit of regular acts through out the year? 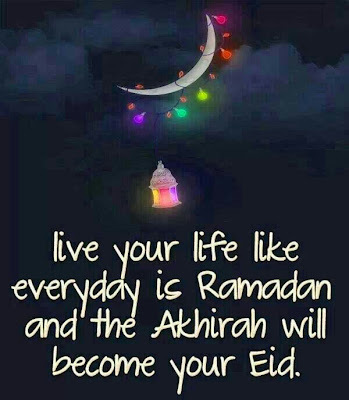 Allah subhanahu wa ta'ala teaches us through this great month our real potentials. Let us learn from this month what we are capable of, bi'idnillah.